There's really no home owner that doesn't fear having to replace an appliance. Even a broken down hairdryer can be an immense nuisance, so what about your home's cooling unit? As we always like to point out, something breaking down doesn't necessarily mean it's ripe for the bin – in most cases, a little tinkering with the right spare parts and plenty of know-how does the job just fine. But then, there are the other cases: cases where an AC unit is in such a bad shape that there's really nothing left to do but replace it. This can happen for a number of reasons, with an electrical surge being one of them. 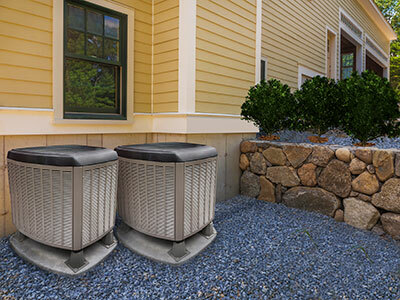 ACs are pretty resilient, especially when compared to some other appliances, but when it's time to go, it's time to go – that involves planning out your budget, picking a good AC, having it installed and even safely disposing of the previous model. Sounds like a lot of work? Let us help. We pride ourselves on the trust our customers show us and a good part of it comes from honest estimates. For example, if your AC happened to break down due to an oversight from you, we'll be sure to tell you why it happened and how you can avoid it in the future. Also, when our technician tells you that your AC is finally done, rest assured that nothing was overlooked in order to squeeze a profit. 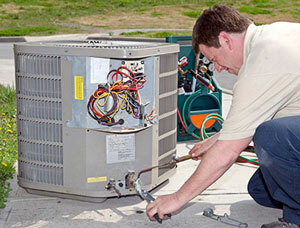 Aside from diagnosing whether the current AC unit is salvageable, we can also help you pick out a new one. There's plenty of AC models out there and the prices are hardly indicative of their quality. This is why you should avoid buying something without research or recommendation, but if you're looking to minimize hassle, one of our top-notch and reliable AC models should do just fine. Of course, after you've got the new AC, someone will have to prop it up so that it can provide perfect temperature control for your home. If you've ever seen an AC being installed, you know that there's a lot more to it than just sticking a box on each side of the wall. If you've thought about replacing your AC using a DIY approach, we have to strongly advise against it as it could lead to losses or even injury. imagine few home owners want an appliance replacement to go on for hours. In our case, swift doesn't mean haphazard, and we will mind the details every step of the way to avoid costly issues or even just nuisances later on. Lastly, we will test the unit to make sure everything is in order. Our goal is for every unit we install or repair to work for a very long time – to accomplish this, we perform meticulous tests every step of the way until everything is in perfect condition.